at ‘RMS2-‘, ‘CMS2-‘ and ‘ABMS2-‘, respectively. demonstrated by the growth in the business over the past three years. servicing activities in October 2012. The majority shareholder is Centotrenta Management S.r.l. senior management team, which provides the company with stability and strategic direction. mitigating concerns over the SMT’s short company tenure. the group level (Centotrenta Management) to the servicer, which took place in January 2015.
which is not typically seen at other Italian rated servicers. completed in June 2016 and resulted in no findings. 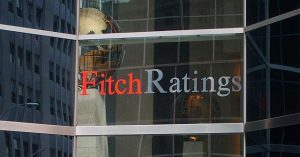 rated master servicers in EMEA as part of the review.